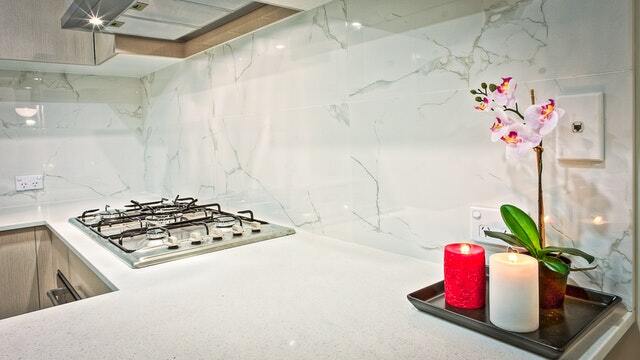 Kitchen Transformations work with trusted suppliers to provide their customers with only the best quality worktops. The worktop is one of the most important features of any modern kitchen and therefore you’re going to want to choose one that suits the overall look and style of your refurbished kitchen. If you’re looking to give the room a complete overhaul, then we can match your new kitchen worktops with matching splashbacks as well as cupboard doors and drawers. With many successful kitchen refurbishments under our belts, we can always offer advice on the type of work surface that you could choose. 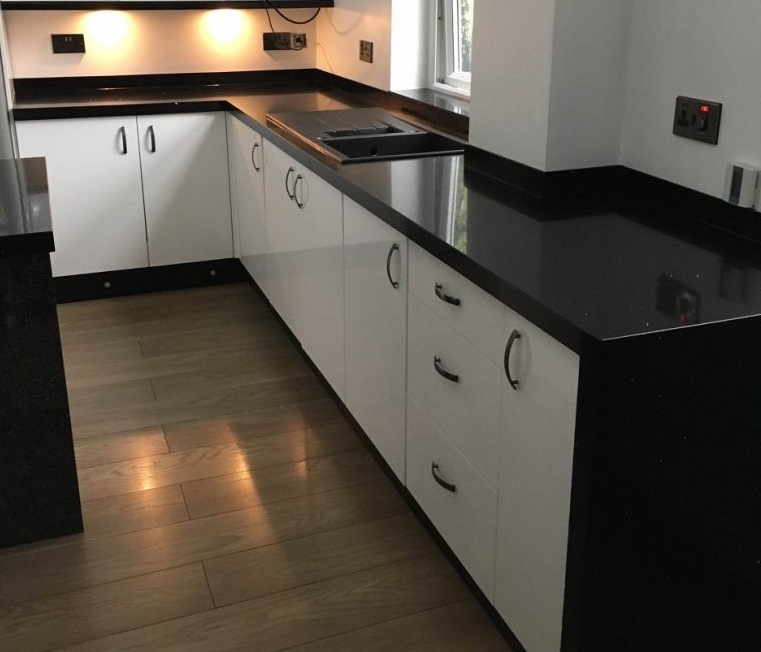 Ultimately, the choice is yours, so if you’re after a laminate worktop or even something in granite or glass, we can be of service. Laminate – A laminate kitchen worktop is a low-maintenance worktop choice, and is both highly durable and easy to clean. 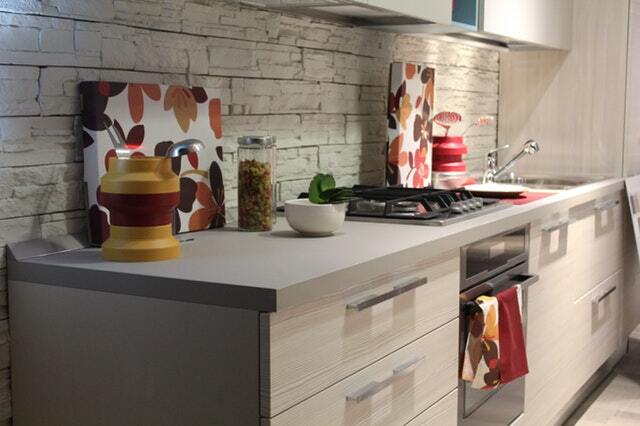 Transform your kitchen for less with a strong laminate work surface. Granite – Tough, rugged and yet still aesthetically pleasing, a well-made granite work surface will become the centrepiece of your kitchen – plus they’re stain and liquid resistant. 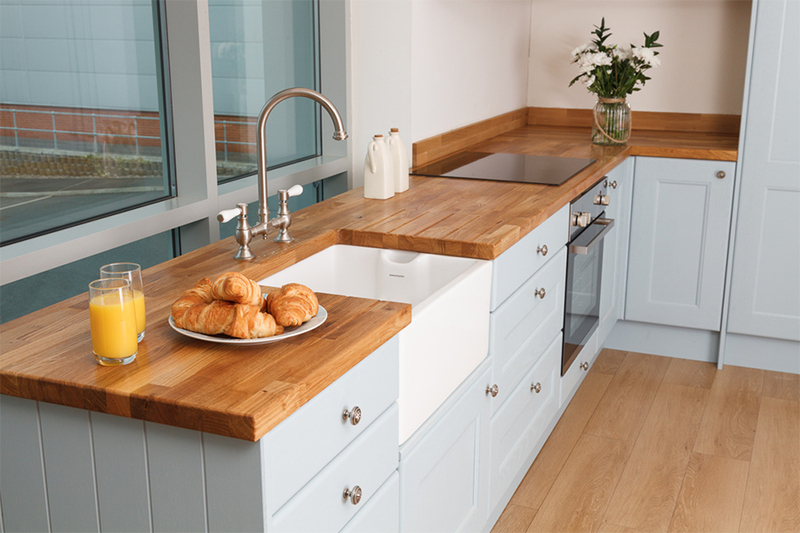 Solid Wood – A solidwood worktop is not only beautiful to look at, but with good care it can last for many years. An ideal choice for both a traditional and contemporary style kitchen. Quartz Overlay – A fast and cost effective way to refurbish your existing worktops. The quartz overlay fits over the top of your current work surfaces and transforms the whole look of your kitchen with minimum fuss. You’ll be surprised at the range of colours and styles available – too many to show here – so just give us a call and we can arrange a visit to discuss the many options available.